Long ago great and terrible spirits amongst the Fae against the Old Gods and so bloody was that battle, and such was the unquenchable thirst of the spirits for death, that Ehlim the Elf King cast them out of the world else they destroy it. He set them to guard the Path to Hel itself. Many years they lay sleeping beneath the mound of Rhedech Heg in the cool darkness of Smotenshal. There they dreamed dreams soaked in the blood of gods. Their dreams alone were so terrible that none dare approach the gate. So there was peace for a while until intruders came in search of the Path to Hel when once more the spirits were roused to wakefulness. Their name is legion and appears in the legends and nightmares of all races. 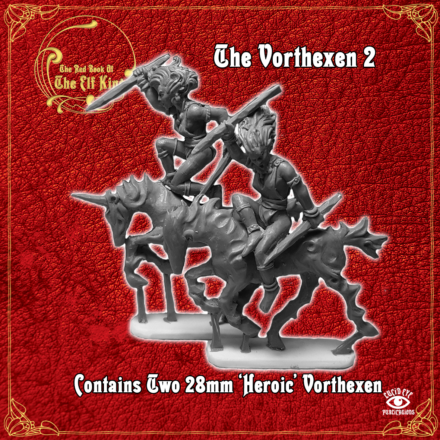 Amongst the Isles of Eas they are called the Vorthexen. None is more terrible to behold than their Thane, Hirihalye Bloodmother of Smotenshal. She rides upon a wild shadow of blind terror said to be as swift as joy, as quick as fear and as nimble as thought itself. 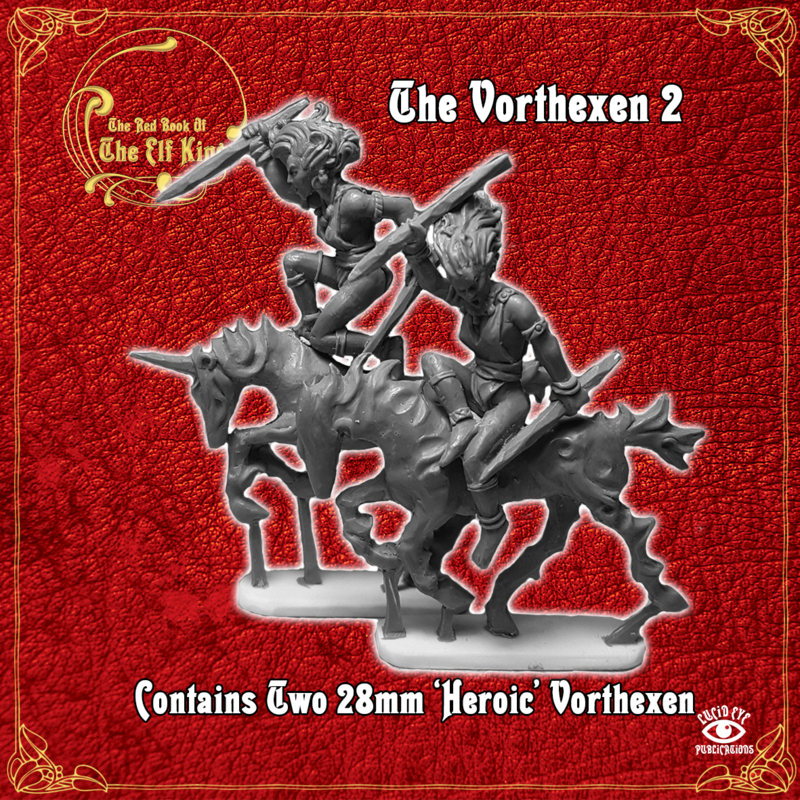 Contains two 28mm ‘Heroic’ white metal miniatures. 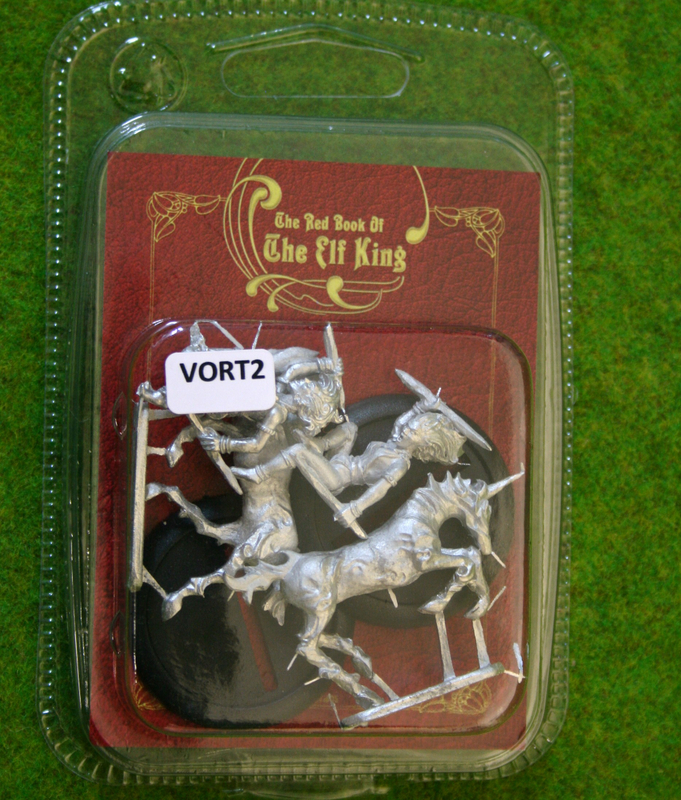 Provided with 40mm display bases. Sculpted by Steve Saleh.